“Blue Moon of Kentucky” is the official bluegrass song of the State of Kentucky. It was written by bluegrass musician Bill Monroe in 1946 and recorded by his band the Blue Grass Boys. The song has been covered by many artists, including Elvis Presley, Patsy Klein and Paul McCartney and, in 2003, the song was added to the United State Library of Congress National Recording Registry. Perhaps the most famous – or infamous – version of the song was in the 1987 smash hit movie “Planes, Trains and Automobiles.” Steve Martin, playing Neal Page, and the late John Candy, playing Del Griffith, sang it in tune while they were driving a burned-out and roofless car in Illinois, headed to Chicago for Thanksgiving. 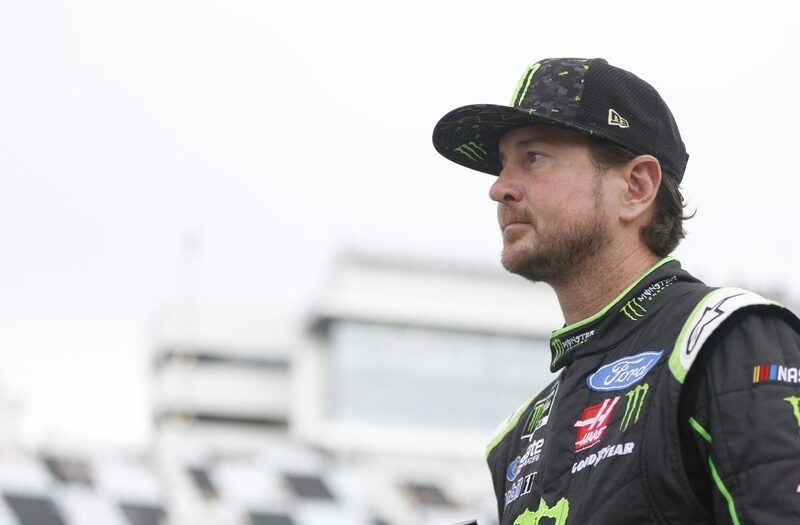 What does all this have to do with Kurt Busch and Saturday night’s Monster Energy NASCAR Cup Series race at Kentucky Speedway in Sparta? Nothing, but anytime a Del Griffith reference can be made, it’s good for copy. There have only been seven NASCAR Cup Series races at Kentucky since the series made its inaugural trip to the 1.5-mile oval in 2011. Busch, while winless at Kentucky, has knocked down a top-five finish, four top-10s and led a total of 51 laps. His average start is 12.0 and his average finish is 12.9. Busch’s best Kentucky performance came in 2016, when he qualified third and led once for 10 laps before finishing fourth. The third-place qualifying effort equaled his best at Kentucky, first earned in the inaugural Cup Series race in 2011. And his fourth-place finish was his best at the track, topping his previous best of sixth secured in the 2013 race. That fourth-place finish allowed Busch to check off another stat box on his tenured Cup Series resume, as it gave Busch a top-five at every track on the Cup Series schedule. So it’s sort of like Pocono and Darlington, where you’re trying to find the right combination even though both ends of the track are different? You’ve been in the top-five a lot this year. Do you think a victory is on its way? You’ve been competing at Kentucky since its beginning, running the track’s inaugural NASCAR Camping World Truck Series race in 2000. The track has changed quite a bit even since the NASCAR Cup Series began racing at Kentucky in 2011. What did you think of the place when you first arrived as a Truck Series rookie?